Boxer at TemplateMo.com is a device-agnostic, modern responsive design that is customizable. It's designed to work well on desktops, laptops, tablets and mobile phones. 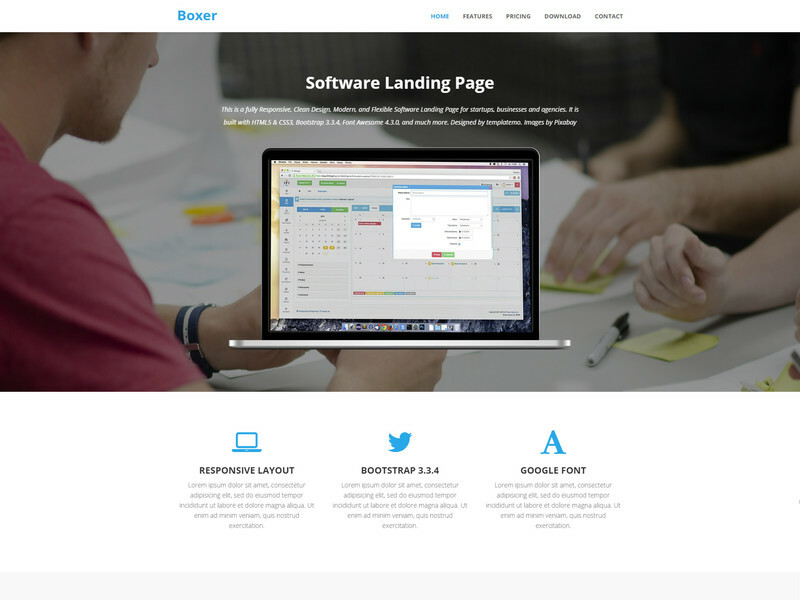 Boxer is a responsive template is designed for software landing pages. This is built on HTML5, CSS3, Bootstrap 3.3.4 and Font Awesome 4.3.0.